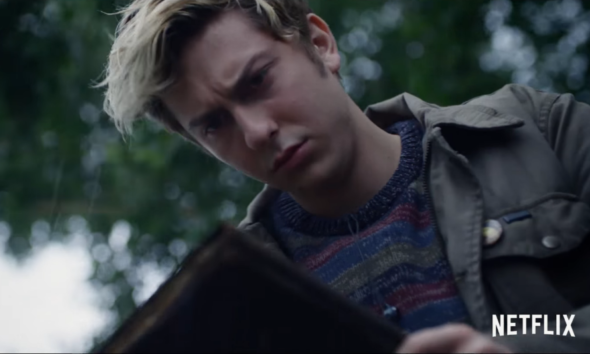 Fans of Tsugumi Ohba’s manga series Death Note responded in two very different ways when Netflix announced an American adaptation of the series, directed by Adam Wingard. Broadly, they’re either psyched or disgusted. The most obvious change made to the story was its location: While Ohba’s Death Note manga, the anime adaptation, and the Japanese live-action film are all set in Japan, Wingard’s Death Note takes place at a high school in Seattle. While some fans remain excited to see Willem Dafoe play Ryuk, others have vowed to boycott the film for “whitewashing” its cast. The two main characters in Death Note, Light and L, are played by Japanese actors Tatsuya Fujiwara (Battle Royale) and Kenichi Matsuyama (often called “Japan’s most popular actor”) in the Japanese film. In the American version, Light and L are played by caucasian actor Nat Wolff (The Fault in Our Stars) and African-American actor Lakeith Stanfield (Atlanta). Critics of the remake’s casting have said that setting the story in Seattle in order to make an “American version” of the story argue that Americans are not always white. In fact, Seattle in particular plays host to a proportionally large number of Asian-Americans. There was nothing stopping Netflix, they say, from casting Japanese-American actors as the leads in Death Note, so casting a white guy as Light compounds the racist belief that minority actors in lead roles don’t get Iron Fist-level numbers of viewers. Now, before American fans hang their Caucasian-preferring hats on the opinions of (some) Japanese fans, it should be mentioned that some of these Japanese fans had a huge problem with L being played by a black man. Suddenly, these fans pull a 180, arguing that Ohba’s original text did have undertones best portrayed by a Japanese actor. Ethnicity and race have as complicated a presence in Japanese manga and anime as they do in American films. In many stories written by Japanese creators, heroes and villains are coded as being Caucasian or black, and others live in imaginative worlds in which their ethnicities may not be obvious. Is Goku from Dragon Ball Z, for instance, meant to be Chinese in the anime, if he’s loosely based on Sun Wukong (aka the Monkey King) in the Chinese novel Journey to the West? Or is Goku Japanese because his creator is Japanese, and because his name in the Japanese-language manga is “Son Goku”? Regardless of his race in DBZ canon, would it be more appropriate for a Japanese or Chinese man to play Goku in a live-action adaptation? Death Note is not one of those unclear stories, however, and much of the original manga’s drama comes from the undue pressure put on young Japanese students like Light to study constantly, compete with academic rivals, and obey their parents. In the manga and anime series, American law enforcement fails Japan by backing out of the search for Light (whom the public calls a serial killer). It’s a move similar to Korean horror movie The Host (Gwomuel), in which the creature that’s birthed in the Han River is the byproduct of American laziness, and Americans refuse to help South Koreans fix the emergency. Assumedly, that dark irony will be completely gone in Wingard’s Death Note, making a political satire into a simple story about, uh, teens and demons. Many aggravated American fans of the series have compared Netflix’s Death Note to Ghost in the Shell, which cast Scarlett Johansson in the lead role, changing minimal details in the text to erase that fact that “Major” was originally Japanese. The actual Ghost in the Shell film makes an even more egregious mistake, revealing that Major’s white face is simply the “shell” applied to her mind, which was once in the body of a Japanese woman. Even critics who avoided the whitewashing conversation called Ghost in the Shell empty of the themes which made the original manga and anime international sensations. That, ultimately, is what ties Death Note to Ghost in the Shell, even more so than casting non-Japanese actors in lead roles. Adapting a Japanese story about specific mainstays in Japanese culture and a contentious relationship with America into a story without any subtext misunderstands what makes Death Note a resonant story. That is, Death Note may involve gods of death and a magic, lethal notebook, but if that’s all the story involved, Ohba’s manga would have ended up in the slush pile of shallow ghost stories told in many manga. If American audiences want a creepy story adapting manga without any Japanese values, they’re better off watching Yana Toboso’s Black Butler. Death Note will hit Netflix in 2018.